Back pain is the most common reason for consulting us. You are in safe hands if you are looking how to manage and reduce your back pain. Statistics show that up to 49% of adults experiencing back pain at some stage in their life. Back pain is very much a blanket term, used whether your condition is an acute injury, a long standing complaint or the result of an accident. When you are suffering from back pain, the first concern is to find the cause, then the appropriate treatment. Chiropractic Works are experts in the caring for people’s back conditions. For many the cause of their back pain is contributed to by work or lifestyle, this means that it is something that can be managed and maintained to minimise risk of relapse. At Chiropractic Works we work to find the underlying cause of your back pain, carefully assessing your spine for any areas of segmental dysfunction. Many causes of back pain are not serious injuries or traumas but rather repeated small strains resulting in areas of dysfunction in the low back. These areas of segmental dysfunction can eventually result in pain and other symptoms. 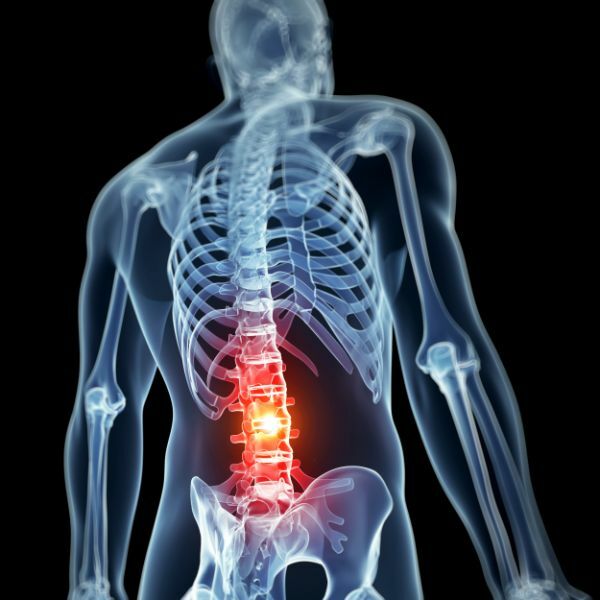 If segmental dysfunction is found, a tailored treatment plan is outlined focusing on improving the function of the spine, reducing the segmental dysfunction and working towards maintaining the health of the spine and nervous system.